One morning in May 1998, Kevin Tracey converted a room in his lab at the Feinstein Institute for Medical Research in Manhasset, N.Y., into a makeshift operating theater and then prepped his patient — a rat — for surgery. A neurosurgeon, and also Feinstein Institute’s president, Tracey had spent more than a decade searching for a link between nerves and the immune system. His work led him to hypothesize that stimulating the vagus nerve with electricity would alleviate harmful inflammation. “The vagus nerve is behind the artery where you feel your pulse,” he told me recently, pressing his right index finger to his neck. The vagus nerve and its branches conduct nerve impulses — called action potentials — to every major organ. But communication between nerves and the immune system was considered impossible, according to the scientific consensus in 1998. Textbooks from the era taught, he said, “that the immune system was just cells floating around. Nerves don’t float anywhere. Nerves are fixed in tissues.” It would have been “inconceivable,” he added, to propose that nerves were directly interacting with immune cells. There was nothing in the scientific thinking that said electricity would do anything. It was anathema to logic. Nobody thought it would work. Nonetheless, Tracey was certain that an interface existed, and that his rat would prove it. After anesthetizing the animal, Tracey cut an incision in its neck, using a surgical microscope to find his way around his patient’s anatomy. With a hand-held nerve stimulator, he delivered several one-second electrical pulses to the rat’s exposed vagus nerve. He stitched the cut closed and gave the rat a bacterial toxin known to promote the production of tumor necrosis factor, or T.N.F., a protein that triggers inflammation in animals, including humans. “We let it sleep for an hour, then took blood tests,” he said. The bacterial toxin should have triggered rampant inflammation, but instead the production of tumor necrosis factor was blocked by 75 percent. 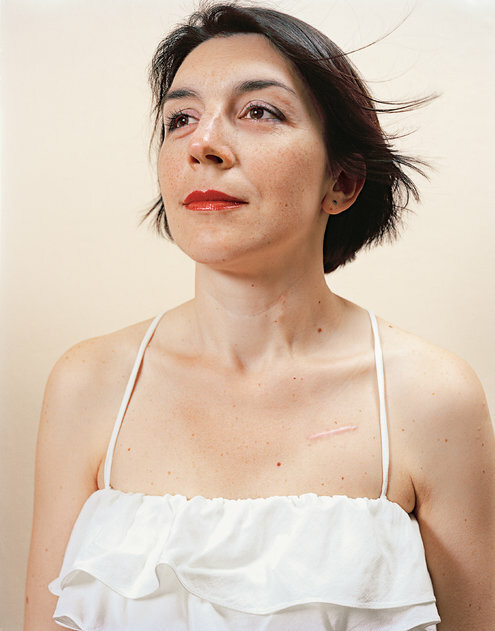 “For me, it was a life-changing moment,” Tracey said. What he had demonstrated was that the nervous system was like a computer terminal through which you could deliver commands to stop a problem, like acute inflammation, before it starts, or repair a body after it gets sick. “All the information is coming and going as electrical signals,” Tracey said. For months, he’d been arguing with his staff, whose members considered this rat project of his harebrained. “Half of them were in the hallway betting against me,” Tracey said. Inflammatory afflictions like rheumatoid arthritis and Crohn’s disease are currently treated with drugs — painkillers, steroids and what are known as biologics, or genetically engineered proteins. But such medicines, Tracey pointed out, are often expensive, hard to administer, variable in their efficacy and sometimes accompanied by lethal side effects. His work seemed to indicate that electricity delivered to the vagus nerve in just the right intensity and at precise intervals could reproduce a drug’s therapeutic — in this case, anti-inflammatory — reaction. His subsequent research would also show that it could do so more effectively and with minimal health risks. Tracey’s efforts have helped establish what is now the growing field of bioelectronics. He has grand hopes for it. “I think this is the industry that will replace the drug industry,” he told me. Today researchers are creating implants that can communicate directly with the nervous system in order to try to fight everything from cancer to the common cold. “Our idea would be manipulating neural input to delay the progression of cancer,” says Paul Frenette, a stem-cell researcher at the Albert Einstein College of Medicine in the Bronx who discovered a link between the nervous system and prostate tumors. My hope is someone out there will read this and change their minds about to the ingredients they are putting into their bodies. Sodas are so full of aspartame and bad sugars, and many people wonder why they can’t lose weight even though they are drink diet soda. Ironic term diet soda, nothing diet about it. America is truly sick, sick of too many processed drinks and foods that are convenient and easy to open a box or bag or can, but they are also slow death. The worst thing I see in my older female practice members is osteoporosis and osteopenia (soft bones). I try to talk to them about this and what the future holds if they don’t change. Many are just addicted and they can’t quit soda. All I can do is try to give them the facts, but I can’t make them change. Foods and drinks are the same thing as drugs in my thinking. Sincerely, David R. Jones DC. The FDA claims aspartame is safe but has set an acceptable daily intake of no more than 50 mg per kilogram of body weight. In other words, an adult weighing 165 pounds should consume no more than 3,750 mg of aspartame a day. A can of diet soda typically contains about 180 mg of the chemical. That means the FDA’s “safe” limit equates to about 21 cans of diet soda per day. The researchers found that spatial orientation skills were significantly worse for participants after their high-aspartame diet than after their low aspartame period. Two participants also actually had clinically significant spatial orientation impairment after consuming high-aspartame diets. Two other students experienced clinically significant impaired working memory. In an earlier study of 90 university students, aspartame users reported longer memory lapses than non-users. Aspartame Triggers Depression and Irritable Mood. And just say no to those little packets in restaurants. Aspartame is marketed under the names “NutraSweet,” “Equal,” and “Spoonful.” Instead try stevia. It’s a natural sweetener made from the leaves of a South American plant. You’ll also see it called “sweetleaf” or “sugarleaf.” Stevia is essentially calorie-free. Look for the less processed green stevia rather than the white powder form. Honey and xylitol are other good natural options. I must say I do agree with this list. It is mind boggling to think that future generations have a life expectancy less than their parents. Kind of sad and you would think that things would be getting better with all the advances we now enjoy. The greed by big chemical companies for more money at the expense of our health with no oversight by our government with ultimately be our down fall. Enjoy Dr. David R. Jones. (NaturalNews) With thousands of toxins circulating in the world it can be very easy to become overwhelmed. Formerly nutritious foods have been denatured to the point that they have very little benefit, and air and water have become dangerously polluted. These are 5 toxins to be especially concerned about. Heavy metals are not something that people should normally concern themselves about with regards to food, air, water, and personal care products. Unfortunately, that is not the current situation. Common exposure points to heavy metals include seafood, dental amalgams, vaccinations, personal care products, pots and pans, baking powder, smoke, paint, water, work sites, and chem trails. These deadly toxins can immediately wreak havoc, causing chronic pain, fatigue, brain fog, gastrointestinal problems, allergies, headaches, depression, skin problems, insomnia, paralysis, and more. Genetically modified organisms (GMOs) are foods that have been created by gene-splicing vegetable seedlings with poisonous pesticides, herbicides, and bacteria so plants are inherently protected from pests that may try to damage them. With 85 percent of all corn, soy, and canola oil being GMO and the fact that they are some of the most heavily consumed food products on the planet, people find themselves with a major problem. Add in sugar beets, cotton, and other popular grains which may be contaminated or are on the agenda to become GMO (wheat, rice), and there is a nutritional apocalypse in the making. As a result of this engineered process, consumers are essentially consuming toxic seeds laced with chemicals that are known to mutate cells of the body, resulting in tumors and other forms of cancer. There are a few forms of radiation, but the most deadly that are currently polluting the planet are cesium-137 and electromagnetic radiation. With recent radiation tests done by county officials on the shores of California showing a 500 percent increase in radiation, it is now widely believed by experts that cesium-137 has entered the food chain so any seafood caught in the Pacific ocean is very suspect of significant contamination. However, that is not as widespread a concern as electromagnetic radiation. With the omnipresence of wifi signals, cell phones, TVs, computers, and microwaves this type of radiation is nearly impossible to avoid. On May 31, 2013, the World Health Organization/International Agency for Research on Cancer issued a report admitting that cell phones might indeed cause cancer, classifying EMFs as “possibly carcinogenic to humans” (Class 2B). Xenoestrogens, or man made estrogen mimicking molecules, are a very common toxin found intertwined in day-to-day life. The most common places they can be found include plastic containers, lining of canned food, Styrofoam cups and containers, cosmetics and toiletries, and agricultural chemicals. These hormone disruptors can cause all kinds of hormone related issues including poor sleep, energy, and libido, as well as hormonal related cancers such as breast, ovary, and prostate cancer. The drum has been beaten for quite some time on the dangers of artificial sweeteners like aspartame and sucralose (Splenda), but that hasn’t stopped many people from consuming the products that contain it. It is found in diet sodas, yogurt, chewing gum, cooking sauces, tabletop sweeteners, flavored water, cereals, and sugar free products. Aspartame is combination of chemicals, namely aspartic acid (an amino acid with excitatory effects on brain cells), methanol and phenylalanine and scientists are placing it at the higher end of the range of what is considered toxic. Ninety different symptoms have been documented as a result of aspartame consumption, including anxiety attacks, slurred speech, fatigue, depression, migraines, tinnitus, vertigo, heart palpitations, nausea, and muscle spasms. I believe that stretching especially as we get older is one of the single most important workouts we can do to ease muscle tension, relax and to promote overall joint health . This article by Chris Freytag offers some great advise on stretching. Enjoy. Maybe you view stretching as a nice thing to do if you still have some time after your workout is finished, but stretching is actually an essential part of any workout. It offers numerous benefits to your body, so it’s best not to skip! 1. You never want to stretch your body when it’s cold. Stretching can improve your athletic performance and decrease your risk of injuries by improving your range of motion and increasing your flexibility. Stretching after exercise can help relax and balance tension caused by the workout itself. You’ll save yourself from tight, sore muscles the following day. When you’re able to bend and move into various positions more easily, you will achieve better athletic performance since your joints can properly move through the full range of motion. Stretching increases blood flow to the muscle and will only improve your workout results. If you stretch consistently, you will see improvements in your flexibility. Chiropractic adjustments are traditionally aimed at restoring function and reducing pain in various locations of the body, particularly spine-related complaints. The focus is on the neuro- (nerves), musculo- (muscles), -skeletal (bones and joints) system and their related ailments like neck, mid-back, low back, and pelvic area pain. The problem is that every day patients come to us with MANY health problems that go beyond spinal pain; therefore, we have to treat the WHOLE PERSON. Because chiropractic care is about restoring overall general health and well-being, and since the body cannot be segregated into only one system (like only the neuromusculoskeletal), the rest of the body including the cardiovascular, respiratory, gastrointestinal, endocrine, nervous, and the rest of the “systems” sometimes have to be addressed in order to improve the patient’s complaint(s). This month, let’s take a look at the current approaches utilized to control cholesterol and how chiropractic fits into the picture. 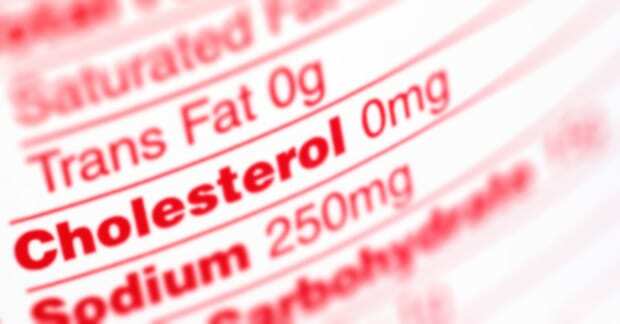 As you’ve probably heard, the prescription rate of statin medications (drugs that lower cholesterol such as Lipitor) has gone gangbusters in our society in the last decade. Ironically, one of the most common and debilitating side effects of the statin group of medications is generalized, sometimes disabling, muscle pain caused by something called “rhabdomyolysis.” Since chiropractors treat MANY patients with muscle-related pain, it’s quite common for these people to visit chiropractic offices for help managing their general muscular pain, not considering the cause of their pain may be from the side-effects of their medication! Discontinuing the statin medication may be the only way to stop this very painful and fairly common side-effect. That is, if it isn’t too late and the muscle pain has not become permanent! Use of blood pressure medications. The new focus is on exercise, losing weight, eating the right foods, and being aware of the risks. Statins are recommended for people already diagnosed with heart disease, those with extremely high LDL’s (bad cholesterol), middle-aged type 2 diabetics, and those between 40-70 whose estimated 10-year risk is calculated at 7.5% or higher. Some experts criticize that the calculator overestimates how many people need statins and caution is recommended to NOT depend solely on this approach. The ultimate goal is to reduce bad cholesterol by 50% for those with high risk and 30-50% for those with moderate risk, of which studies report that this will reduce the chance of having a heart attack. The shift to include lifestyle changes and to NOT only focus on one number (cholesterol level) is a step in the right direction, especially for those who can’t tolerate statins due to the sometimes significant muscle pain side effects. In respect to whole person care, chiropractors manage aspects that negatively affect health, and that includes cholesterol management. Dietary approaches include, not only guidance in eating the right foods, but also in recommending specific nutrients that can lower cholesterol. For example, studies show eating fewer processed food reduces “trans-fats,” (which increase LDL’s and reduces the “good” HDL cholesterol), and saturated fat. This is reportedly MORE helpful than eating less cholesterol-rich foods! Nutrients like Red Rice Yeast can help reduce cholesterol without the side-effect risks. Weight loss, blood pressue control, and smoking cessation are other ways we can help you win this war! We want you to live longer with a higher quality of life!